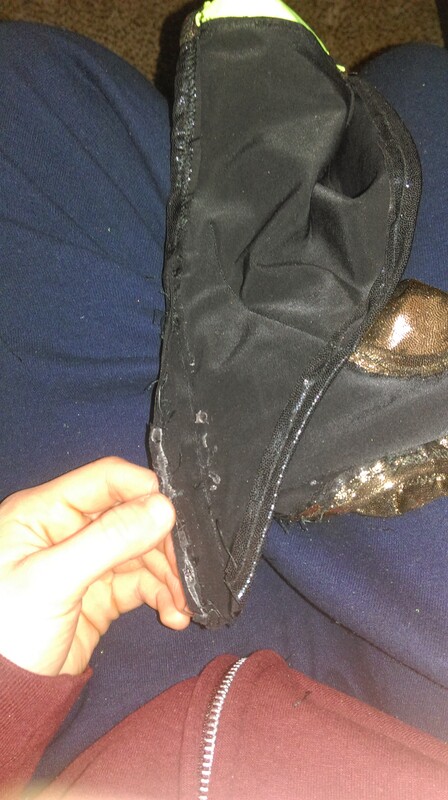 Adventures in Sewing: Fun With Lycra | "Jump Higher!" After the hours upon hours spent training, there is nothing more satisfying than donning the gaudy lycra that is your show gear and parading your hard-earned skills in front of an audience. In my continuing attempts to be a luchadora-of-all-trades, I recently attempted to make a some ring gear. 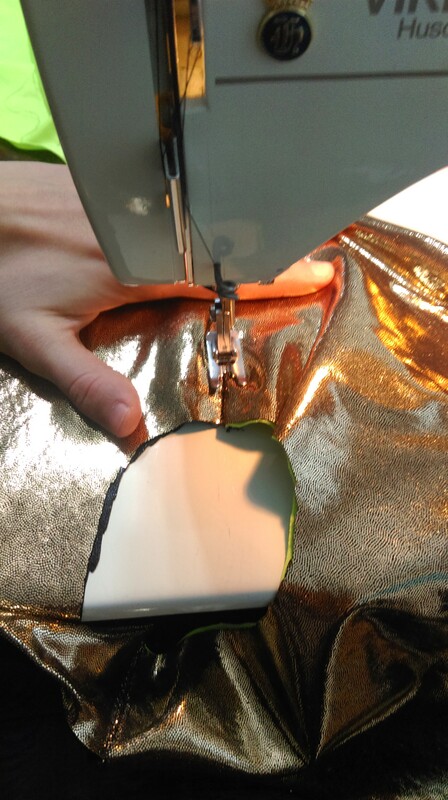 This post is part photo dump, part reflection on the creation process, and part primer on what it means to wear sparkly lycra. Now, let me be very upfront about this: Lycra is a difficult fabric to work with. It takes a highly skilled craftsperson to produce the level of detail and durability necessary for garments that luchadors will wear in a show. Well-made ring gear is simultaneously a work of art and a wonder of functional clothing design. Keep all that in mind when I say that I am not a highly skilled craftsperson. I can sew. However, my sewing skills are largely self-taught through trial and error. When I traveled to Mexico City last January, I had the opportunity to watch maskmaker Miguel Ruiz at work. From my time observing him I picked up a couple tricks that make working with lycra much more tolerable. How did those tricks serve me? Well… keep reading. I started off on pretty solid footing with the design step of the process. I had a decent idea of what look I was going for. From my previous sewing experiences, making a pattern for the desired pieces was also pretty simple. My initial ideas. Maybe a bit ambitious for a first go at it. Yep. I can make a pattern. I knew that much. The next step was a little tricky. Unlike in Mexico City where it appears to be fairly easy to find sturdy, colorful, sparkly lycra in a variety of colors and patterns (I suspect this is due to the higher concentration of skilled labor jobs there that involve working with fabric), I had to scour craft stores high and low for lucha libre-quality lycra here in Tacoma. I finally found some appropriate gold and black glitter lycra, added thread and industrial sticky glue to my cart, and went on my merry way. Pro tip: make sure you use industrial-strength sticky glue in a well-ventilated room. That stuff will make you loopy. Crap. Little zen voice can stick it where the sun doesn’t shine. Glue, cut, sew some more, aaaand… voila! The results: not terrible, but not overly functional. At least not for high-flying feats of daring do. It fits, but not quite the way gear should to avoid a major wardrobe malfunction. However, I do now own a rather awesome-looking sparkly bra for more casual wear. Cleavage?! Where’d *that* come from? Perhaps more importantly, I came out of this project with infinite respect for skilled mask and gear-makers. Seeing how easy Miguel made the whole process look is clear evidence of a long career working with not only lycra, but fabric in general. Living here in a ye olde U.S. of A. where most any type of clothing can be simply bought without thinking of its production methods, it’s easy for us to forget the effort that is exerted to make all garments (and even more so for specialty items like lucha libre gear). So, in that vein, it’s awesome to be able to understand that the gear I wear in the ring was just as laborious to make as was training to be worthy to wear it. Lycra, I’m not done with you yet. There will be a rematch.